Five people have been confirmed dead after the SUV carrying Jennifer Hart, her wife, Sarah, and and at least three children plunged from a 150-foot cliff in Northern California onto the oceanside rocks below last month. The Woodland, Washington, mother who was driving when an SUV carrying her wife and children plunged off a California cliff last month was drunk, officials said Friday. Jen Hart had a blood alcohol level of 0.102 percent, according to a news release from the Mendocino County Sheriff’s Office, citing a preliminary toxicology report. California drivers are considered drunk with a blood alcohol level of 0.08 percent or higher. Two children who were in the wreck and Jen’s wife, Sarah, also had in their systems “significant amounts” of an ingredient commonly found in the allergy drug Benadryl, which can lead to drowsiness, Capt. Bruce Carpenter of the California Highway Patrol told The Associated Press. The office was still waiting on toxicology results for a third child found in the wreck that happened March 26, authorities said. The toxicology reports are one more piece of the mysterious Hart puzzle. Where friends and acquaintances saw a happy family that emphasized love and unity, neighbors saw a unit closed off to the outside world. Child-abuse allegations trailed the Hart parents, who adopted two sets of siblings from Texas in 2006 and 2009, as the family moved from Minnesota to Oregon to Washington. 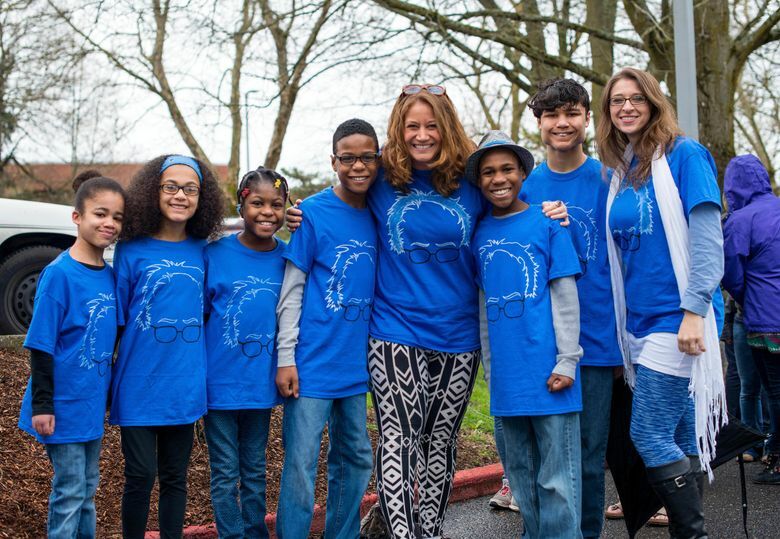 Five Hart family members have been confirmed dead after the SUV carrying the mothers and at least three of their children plunged from a 150-foot cliff in Northern California onto the oceanside rocks below. Mothers Jen and Sarah Hart, both 38, died, as well as their adopted children Markis, 19, Abigail, 14, and Jeremiah, 14. Authorities believe Devonte, 15, Hannah, 16, and Sierra, 12, may have been in the vehicle and swept out to sea. The body of a young woman was found floating in the surf nearby about a week ago, but has not yet been identified. Officials have said the crash may have been intentional, judging by software in the vehicle showing it stopped at a pull-off area before speeding off the cliff. Officials found no skid marks to indicate sudden acceleration or braking, according to a search-warrant affidavit. Officials have said none of the family members found in the wreck were wearing seat belts. The wreck has left many who knew the Harts searching for answers. Kayla Schmitz, who worked with the Harts years ago in Minnesota and was holding out hope the wreck had been an accident, said the toxicology report made it seem certain now that the Harts, or at least Jen, drove purposely over the cliff. “They weren’t big drinkers,” Schmitz said, recalling former pizza nights at her house, when she and her roommate would have a beer and Sarah and Jen would opt for soft drinks. Taking stock of Jen’s alcohol level, she figured it would give someone “just enough courage” to do something drastic. The family’s mystery further unraveled this week, when Houston-area attorney Shonda Jones realized Tuesday that the children she had seen on the news were involved in a decade-old case. When she heard the children’s names on Tuesday, something clicked. About a decade ago, Jones went to court in Texas to restore Devonte, Jeremiah and Sierra to their aunt’s care. Jones said she’d kept the case file for a decade. “I thought for some reason I needed to hold onto it,” she said. Jones said it was difficult to break the latest news to her client, Priscilla Celestine. As The Oregonian first reported, a Texas appeals court in 2010 turned down Celestine’s petition to adopt the children, along with another sibling who did not end up living with the Harts. The case provides some understanding of the three siblings’ lives before they were adopted by Sarah and Jen Hart. Five months after the kids were removed, Celestine, who was an aunt of two of the children, petitioned to adopt the siblings. Months later, DFPS took the children from Celestine’s care after finding out the children’s biological mother had been allowed to visit them, according to court records. A case worker had previously told Celestine that the children’s biological mother could not have contact with them, according to testimony cited in the records. “I felt it was minor in the scheme of things,” Jones said of the mother’s visit. “It was something that could have been handled in a different manner.” Jones described Celestine as “a stable person” with a steady job who had raised a daughter. She said the children brought Celestine joy and gave her purpose. Jones said she pleaded with DFPS and the court along with Celestine. The Hart parents had faced previous child-abuse allegations in Minnesota and Oregon before moving to Washington in 2017. On March 23, child-protective services visited the family home in Woodland after a neighbor raised concerns that the children were being abused and deprived of food. No one answered the door. Three days later their SUV was found more than 500 miles away at the bottom of the cliff. Evan Bush: 206-464-2253 or ebush@seattletimes.com; on Twitter: @EvanBush.